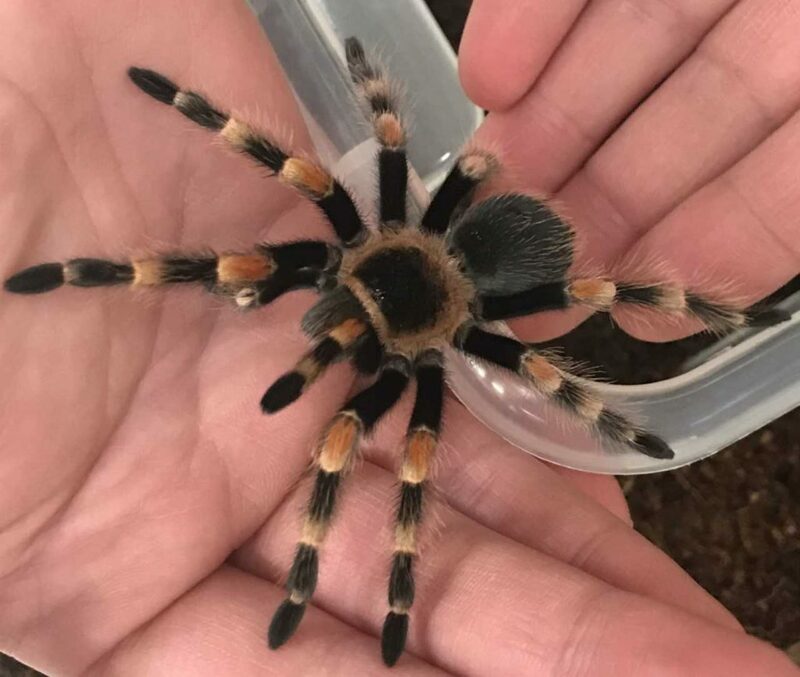 Mexican red-knee tarantulas grow slowly. Females also tend to live twice or three times the length of their male counterpart. When threatened they will rear up and display their fangs. They also have eight eyes located around their head and can see backwards!